Posted on Friday, August 10th, 2012 at 4:27 am. If you’re anything like me, the first thing you do at work, after making yourself a cup of tea of coffee, is to open your email program to see all of the new emails that came in overnight. 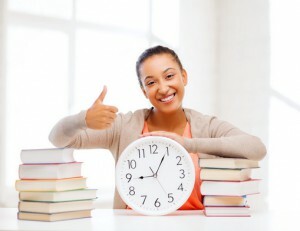 To learn techniques to manage time better, participate in Time Management Training Course from pdtraining delivered in Baltimore, Boston, Charlotte and other cities. It always amazes me how many people do their emails outside of work hours. Is that because they were too busy to read and respond to their emails during the day or do you need to manage your time better? And if this is what you do every day, then more often than not, your daily plans just went right out the window because there will be at least one email that requires your immediate attention. This starts the reactive tasking for the rest of the day. To manage emails, you need to manage the time you spend on them by fixing a certain time to check and respond to emails, and by beginning to treat emails like tasks. It’s hilarious when someone send an email to me with the little red flag on it because what is important to them, but many such emails are not so important to me. Instead of responding to incoming emails as they appear, you have to take control of your inbox and set a specific time when you will respond to them. Instead of checking your emails the first thing in the morning, you might want to wait till say 10 a.m. after you’ve completed your assigned tasks for the morning. It will improve your productivity and also save your time in responding to emails. If you do not expect important emails during the day, you may set aside two hours in a day; say from 9.30 to 10.30 a.m. and then again from 3.30 to 4.30 p.m. to read and reply to emails. Except these hours, do not open your inbox. You’ll be amazed at how productive you become! You can control tasks better if you hold them in a time frame. For example, checking of email can be held in a half-an hour time frame, performing an important task can be held in a four-hour time frame for a day, and so on. This strategy will help you to focus better and save time. You can improve your personal productivity and complete important tasks in time with time management. It is mostly when we do not prioritize that we take longer to complete important tasks, and get the unimportant or less important tasks completed before the important ones. Checking and answering emails can also become a way of procrastinating if we are not careful. Therefore, it is essential that we prioritize and stick to completing the more important tasks first thing in the morning. All public Time Management Training courses include am/pm tea, lunch, printed courseware and a certificate of completion. Customized courses are available upon request, so please contact pdtraining on 855 334 6700 to learn more.